The American Legion Post #61 hosts bingo each Tuesday night starting at 6:45 PM at, 35 N. Dysart Rd., Avondale. Enjoy the first work day of the New Year! Back to regular meeting schedule beginning Wednesday January 9. The next Chamber 101 will be Thursday February 7! About January 3rd 7PM Outdoor Performance: “Turn the Page.” It’s time for new beginnings or worn-out endings. Flip over a new leaf in your old book. It’s time to see what has been and wonder about the future. It’s time to make plans that may or may not be broken. In this storytelling performance for adult audiences, our tellers will tell both true and should-be-true tale and personal narratives. Held outdoors so dress warmly. Tellers include Tomás J. Stanton, Mark Goldman, Sean Buvala and others. The evening is free of charge. It is held outdoors. Calling brave men and women kind to a secret meeting at the merry men hide out. Directions to our secret and hidden location is not given to just anyone, but you have shown your valor, so listen closely. Leave the Eye 10 Highway to follow Litchfield Park Road south until Van Buren Road. Turn east but go only to the second south parking lot entrance. Make your way to the far end behind the Contracted Driver Services building. The park, though spacious and lovely, is hidden from view. Follow the sound of minstrels past the trees and through the gate. There you will find food, drink, and games to satisfy adventuring souls. Pray thee don't be late; 8 am to 11 am is the meeting time every first Saturday of the month. There is no cost or commitment. Support groups provide a forum to share feelings, concerns, information and as a way of supporting and encouraging each other. 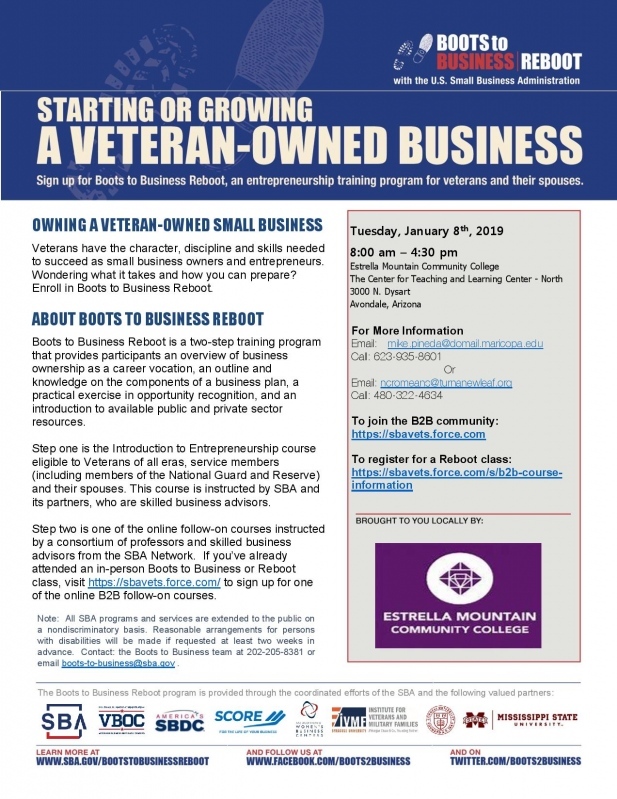 Sign up for "Boots to Business Reboot," an entrepreneurship training program for veterans and their spouses. Business & lunch networking event! 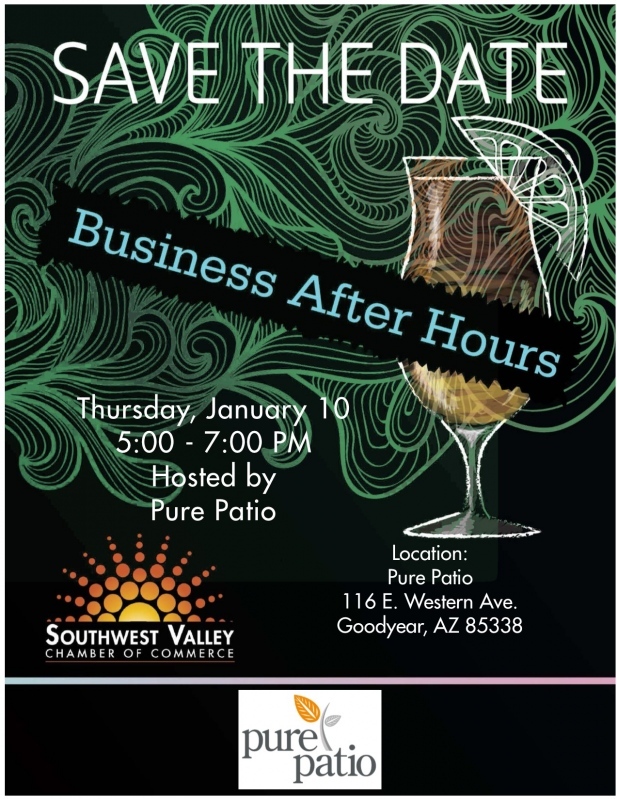 Open to all members of the Southwest Valley Chamber of Commerce. Non-members and guests may attend twice with no obligation. 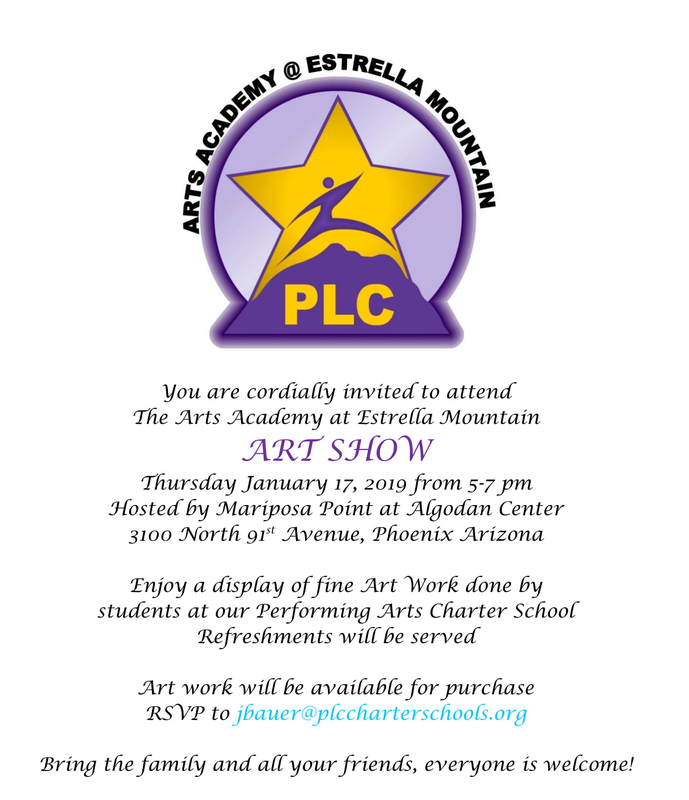 Join us for a great night! Check out their outdoor furniture, and more! $15 OFF - Any Regularly-Priced, In-Stock New Balance Shoe. 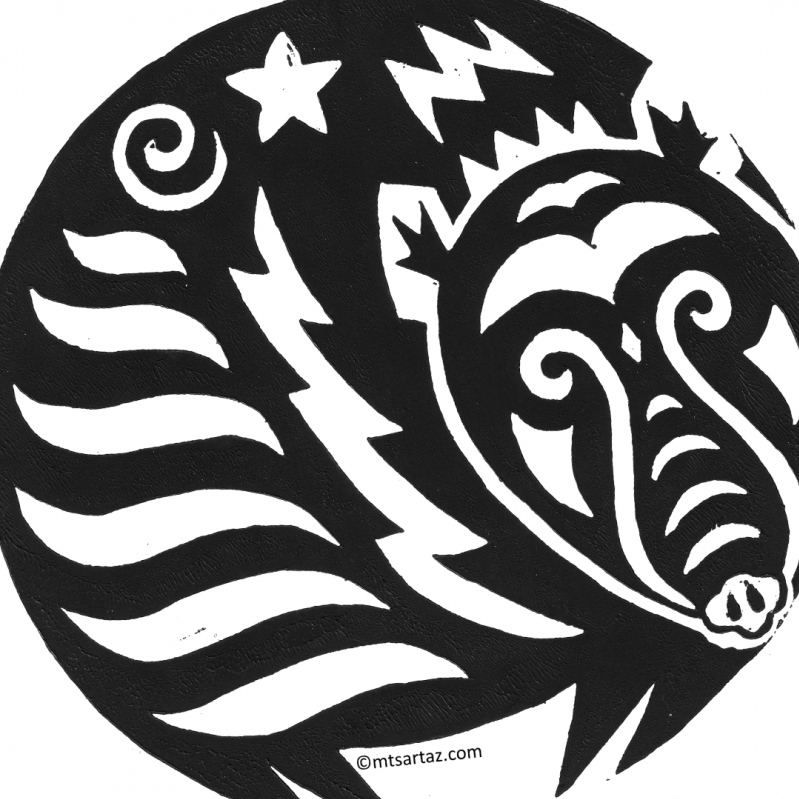 WANT TO WIN $100 GIFT CERTIFICATE? All you have to do is RSVP and attend! Only those who RSVP and attend will be placed in this special drawing! COME AND MEET JIM SCOTT! Our New Balance Rep, will present the latest from New Balance for Spring 2019 & More. Special Guest Instructor Master Ian Larson will be teaching a Hapkido Self Defense Seminar. Jerry Crabb, Senior Director of Ballpark Operations for the Cleveland Indians, will be the guest speaker for the Three Rivers Historical Society. Event will be about the History of the Cleveland Indians. Open to the public. Join us for an information packed seminar on what marketing trends are projected to rule in 2019. Learn how you can leverage the latest trends to grow your business this year! Beneficiary: Valley of the Sun United Way - Valley of the Sun United Way’s mission is to break the cycle of poverty for Valley families. “We fight to end hunger in the classroom, to end homelessness, and to put a stop to financial instability.” A portion of ticket sales will go directly back to Valley of the Sun United Way programs. Join the fight, visit vsuw.org. Attendance: Up to 20,000 spectators are expected to enjoy this community event. Events: The Arizona Balloon Classic” – On Saturday and Sunday mornings, January 26th & 27th, the sky will be filled with colorful hot-air balloons participate in thrilling “Hare & Hound” races from the grassy fields of the Goodyear Ballpark for a spectacular sight of mass and color. Spectators can walk on the field and experience the balloons inflation and lift off. Photo taking is invited. DESERT GLOWS on Friday and Saturday evenings, January 25th & 26th are our most popular attended events. A field full of illuminated, tethered, hot air balloons will glow in time to music. Other Events: Hot Air Balloon rides, the QT Family Fun Zone, Hot Air Balloon Tether rides, Laser Light Show (Friday ONLY), Fireworks (Saturday ONLY), Live Entertainment, sampling, and many other exciting events. Retail shopping and commercial exhibits for purchases or browsing. Admission: For any one day - $15 at the gate. DISCOUNT ticket promotion starts Friday, November 23rd, 2018 (Black Friday). Active Military and Children 12 & under are always FREE. Group ticket packages available. General parking $5. PLEASE NOTE, NO PETS ALLOWED. ALL BALLOONING EVENTS ARE DEPENDENT UPON WEATHER CONDITIONS. NO REFUNDS. RAIN CHECKS OFFERED TO OTHER BALLOON EVENTS DUE TO CANCELLATION. What is Pain? More importantly, how can you eliminate it from your life? Pain is personal. We all have experienced it. But how many of us actually know what pain is? We used to believe that pain originated within the tissues of our body, we now understand that pain does not exist until the brain determines it does. Understanding pain through education may reduce your need for expensive tests, invasive surgeries, and addictive pills. On Wednesday, January 30, AZOPT Glendale’s Clinic Manager, JD Fields, DPT, OCS, and his team of Doctors of Physical Therapy will explain pain in ways you never imagined so you can journey towards eliminating pain once and for all from your life. Space is limited and registration is required. The first 20 registrants will also receive a FREE Pain Relief Screen and T-Shirt immediately following the workshop. Get back to the things you need and love to do – pain free. 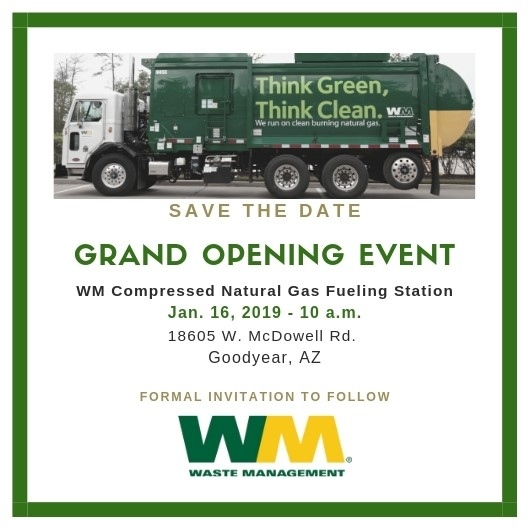 Start your journey with AZOPT on Wednesday, Jan. 30. Workshop begins promptly at 6:30 pm.